There has been another setback in the rescue mission for the stranded ship carrying climate scientists and journalists researching melting ice in the Antarctic after one of the rescue ships has become stuck in the ice itself. 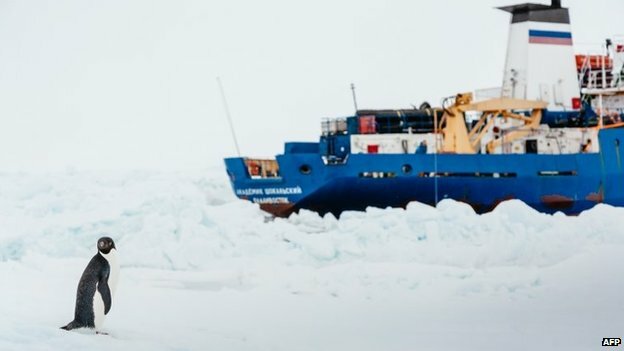 The Akademik Shokalskiy has been stuck in thick ice for a week and a number of rescue attempts have failed with ice breakers unable to clear a path. The latest plan was to effect a rescue by air using the Aurora Australis and Xue Long but the Xue Long has itself become stuck in the ice. As if a ship full of climate change propaganda merchants getting stuck in the ice they were supposed to be telling us was disappearing wasn't ironic enough.